We previously posted on January 18, 2018, TV Star Michael "The Situation" Sorrentino Pled Guilty in $8.9 Million Tax Case, where we discussed that “Jersey Shore” star Michael “The Situation” Sorrentino and his brother Marc Sorrentino have agreed to plead guilty in their criminal case over tax-related charges instead of going to trial, according to a government letter on January 17, 2018 to a New Jersey federal judge. 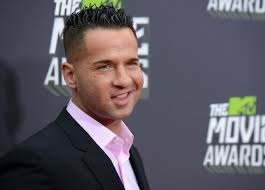 Now According to Law360, Michael “The Situation” Sorrentino, a performer on the reality TV series “Jersey Shore,” was ordered on October 5, 2018 to serve 8 months behind bars for tax evasion, with a New Jersey federal judge rejecting his bid to stay out of prison. 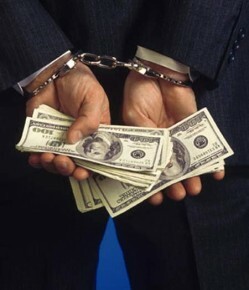 U.S. District Judge Susan D. Wigenton handed down that sentence after Sorrentino pled guilty in January to a single count of tax evasion. Before his sentencing, the judge sentenced Sorrentino’s brother, Marc, to 2 years in prison following his own guilty plea in January to one count of aiding in the preparation of a false and fraudulent tax return. Authorities have alleged that the Sorrentinos created businesses, such as MPS Entertainment LLC and Situation Nation Inc., that earned money from various sources, such as promotional appearances and the publication of a comic book featuring Michael Sorrentino as a superhero. Among other allegations, authorities said the brothers failed to pay all of the federal income tax owed on about $8.9 million they earned between 2010 and 2012. In pleading guilty to the tax evasion charge on Jan. 19, Michael Sorrentino admitted that he earned taxable income during tax year 2011, including funds paid in cash, and he took steps to conceal some of his income to avoid paying the full amount of the taxes he owed. Sorrentino said he made cash deposits into bank accounts in amounts less than $10,000 each to prevent the transactions from coming to the attention of the Internal Revenue Service. With his own guilty plea that day, Marc Sorrentino admitted to willfully providing false information in assisting his accountant in preparing his income tax return for tax year 2010. That false tax return underreported his partnership income, total income and taxable income, Sorrentino said. He also has admitted to a tax loss attributable to him for tax years 2010, 2011 and 2012. The brothers’ former accountant, Gregg Mark, has admitted to filing false tax returns on their behalf. Mark pled guilty in December 2015 to one count of conspiracy to defraud the United States, admitting that he prepared fraudulent tax returns for the Sorrentinos for tax years 2010 and 2011. He is awaiting sentencing.